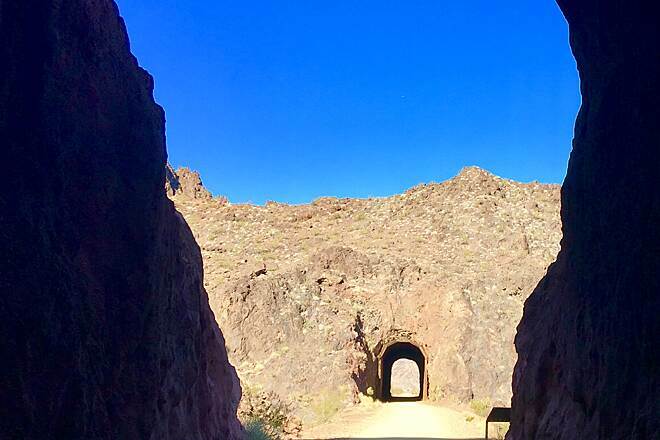 Just 30 miles from Las Vegas, near Boulder City, the gravel Historic Railroad Trail hugs the hills on the southern shoreline of vast Lake Mead. 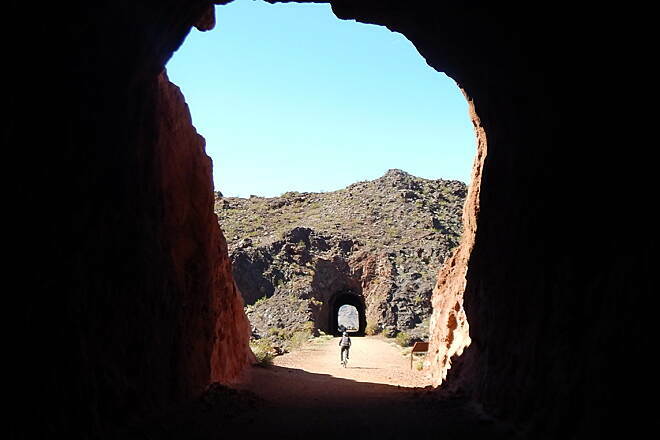 The rail-trail offers panoramic views of the manmade lake and snakes through five railroad tunnels on its way toward Hoover Dam. After the dam was completed in 1935, the railroad ceased operation, and in 1962 the tracks were removed; the trail opened in 1995. 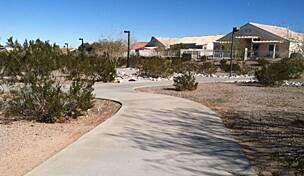 The best place to begin your trek is the Lake Mead National Recreation Area Alan Bible Visitor Center trailhead. This is also a shared trailhead for the River Mountains Loop Trail. 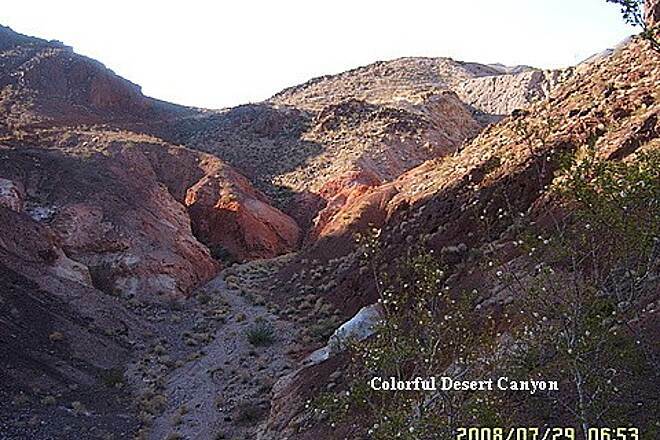 Heading northward, you'll experience 3.7 miles of desert terrain trail through the Hemenway Valley, where jackrabbits bound over washed-out gullies, bighorn sheep graze and the usual desert-dwelling snakes and lizards are at home. 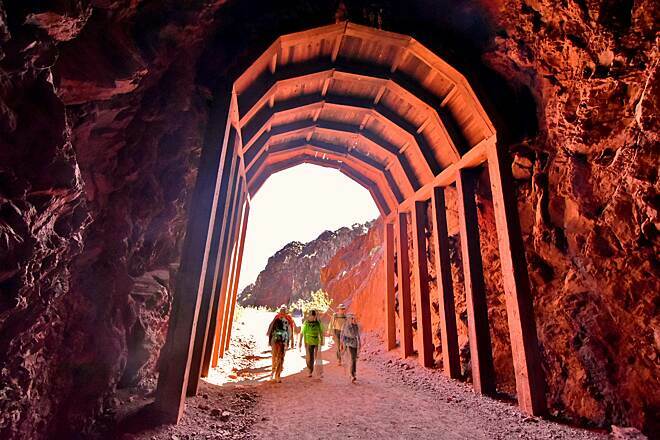 On the easy, wide path you first pass through a high cut in the red, iron-rich volcanic rock. The cut was blasted out in 1930 for trains to pass through, carrying stone to the dam site. 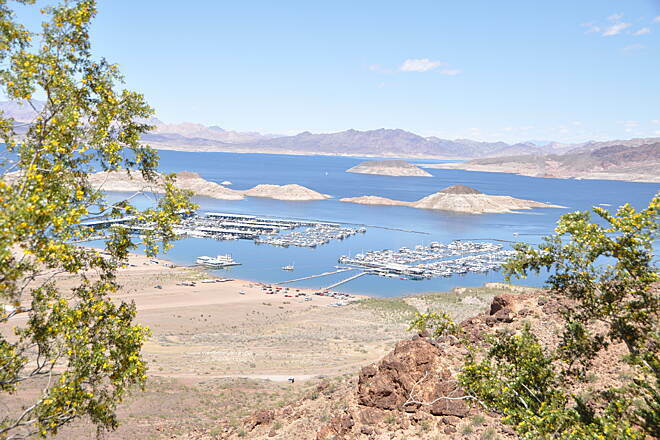 As the trail curves toward the edge of Lake Mead, you'll find yourself several hundred feet above the grey blue water. While the descent isn't a sheer drop, take care as there is no guardrail. The lake views are spectacular all along the trail. Peaks of ancient volcanic mounds rise above the lake surface of this drowned valley like the humps of an aquatic beast. Far in the distance the craggy, smoky blue South Virgin Mountains rise into the clouds. 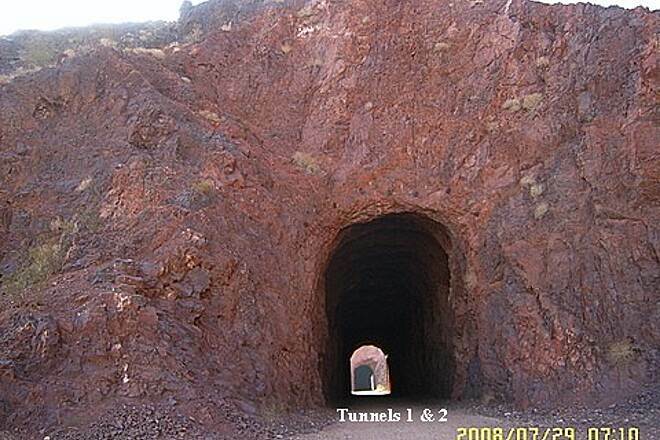 Each of the five tunnels along the trail is 25 feet in diameter to accommodate the large equipment that passed through. In this unforgiving terrain, it's impressive to consider the sheer magnitude of force needed to blast the path. Pioneer trails from early dam construction parallel the trail intermittently. 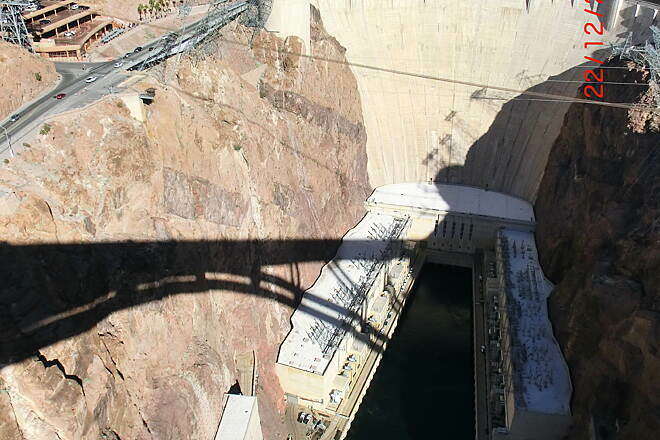 Just before tunnel 1, look down the ravine to the right to see concrete plugs taken from Hoover Dam to install turbines. 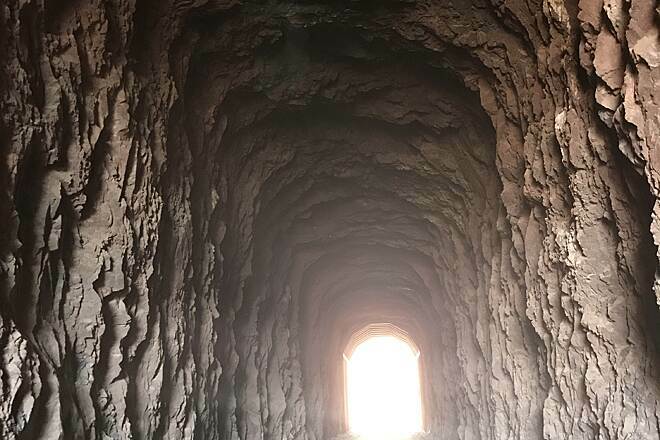 You come across the first and second tunnels in quick succession, and their dark interiors provide a cool respite from the desert sun. 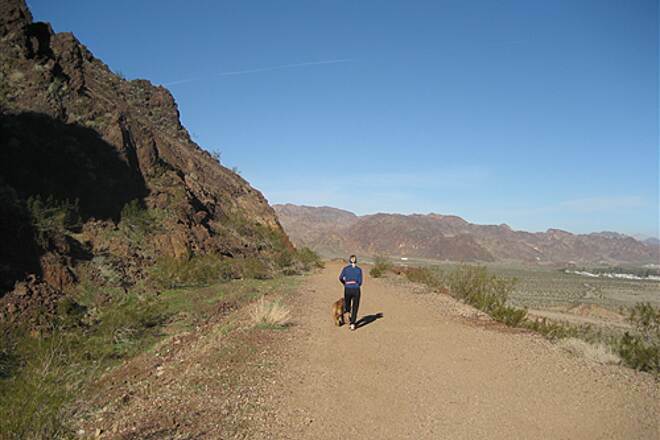 (The Lake Mead National Recreation Area discourages hikers on any of its trails in the summer months, but fall and winter are prime touring seasons.) As you pass through tunnel 2, notice that the ceiling and sidewalls have been reinforced. This work was done after the tunnel was burned by arson in 1990. Wildfire gives rise to much of the plant life along the trail; creosote and mesquite bushes, which are fire-resistant, are scattered in green and brown bundles along the trail and on the surrounding hillsides. In tunnel 3 the arches were shored up to support the massive weight above. 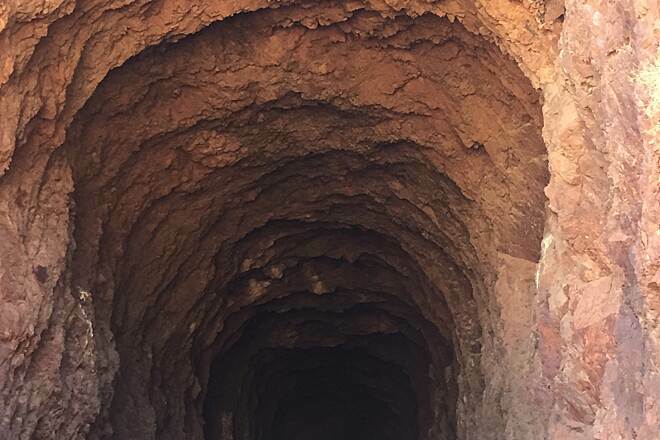 Fault lines are visible in the rippled texture of the sienna hillsides all along the trail, and particularly in the rock face about 20 feet before tunnel 4. 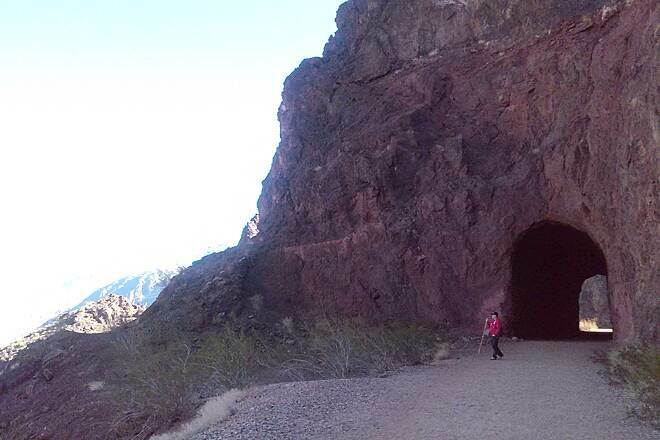 Passing through tunnel 5, which was burned in 1978 and only reopened in 2001, you come to an opening in a fence where the trail continues. 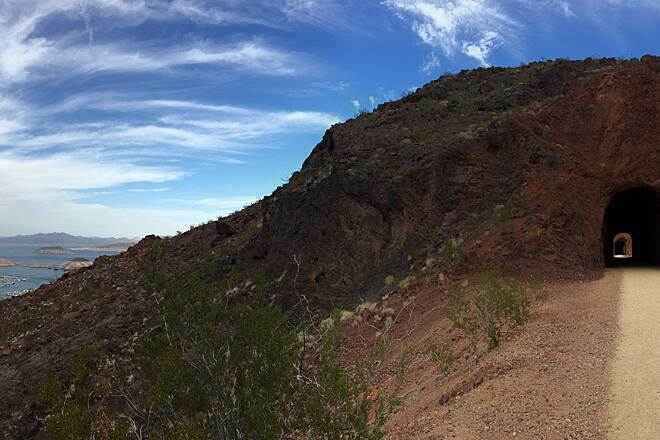 Follow the trail as it snakes through some steep hillsides and through industrial areas before reaching the endpoint in dramatic fashion; the trail brings you out on the top level of the visitor parking area, giving you an awe-inspiring view of the Hoover Dam below. 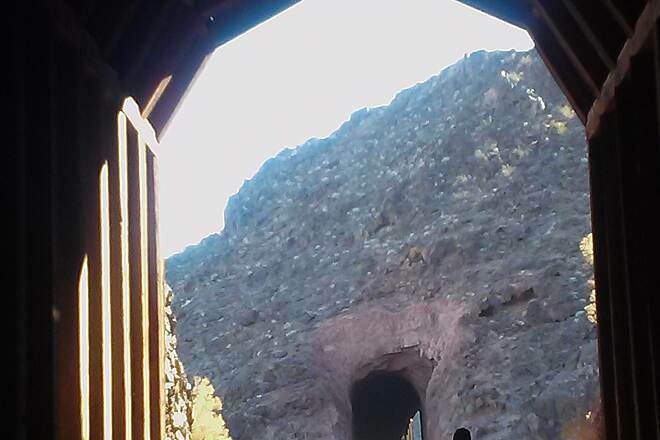 To reach the Hoover Dam Visitor Center, simply take the elevator down to the first level and follow the signs. 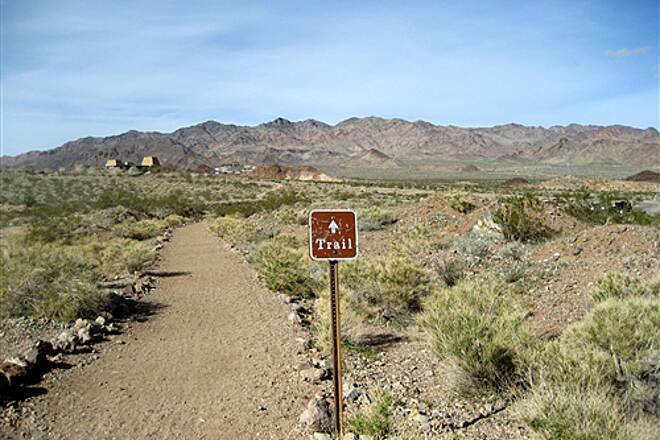 To reach the Lake Mead National Recreation Area Alan Bible Visitor Center trailhead, from Las Vegas take Interstate 215 to I-515 south. Follow I-515 south for 5.8 miles to US 93 toward Boulder City. After 9.6 miles take a left onto State Route 166. 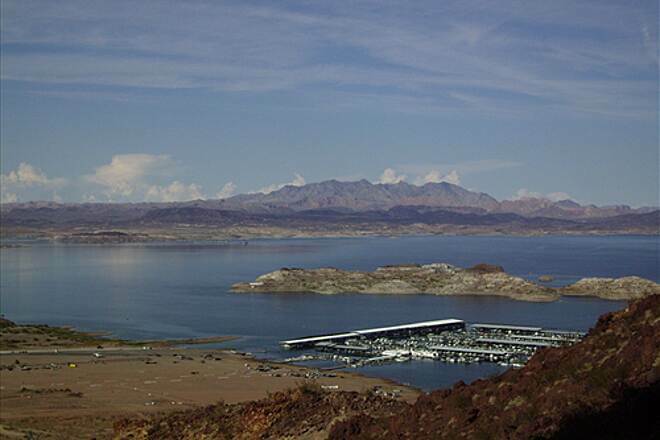 Look for the Lake Mead Visitor Center sign. The trailhead is just over 0.3 mile ahead on the right. To park at the Hoover Dam, from Boulder City take US 93 for about 5 miles to the turnoff to SR 172/Hoover Dam Access Road. Follow it for about 2 miles to the dam. I first discovered this trail when I ran a 10k in December 2015. I was bummed that I couldn't stop and enjoy the trail more, so I went back and hiked it a few months later. There are a couple of benches along the way, as well as signs giving information about the geology of the surrounding area and history of the trail as an important part of building Hoover Dam. Great views of the lake and valley below too. If you look off to the sides of the trail, you can even see materials left over from building the dam back in the 1930s. 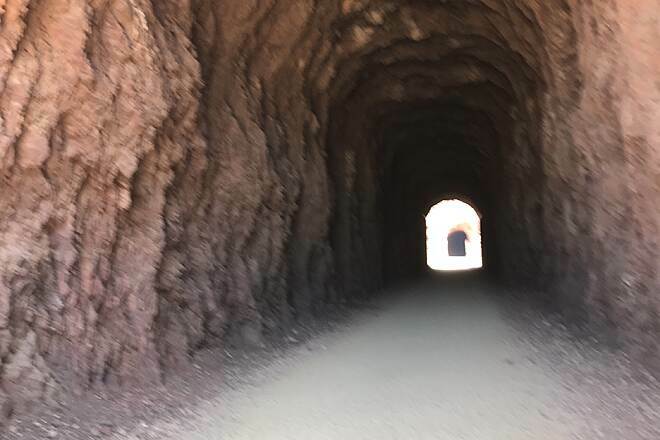 There are large tunnels, originally built to accommodate a train, that are not only interesting but also provide shade during part of the trail. The ground is mostly compacted gravel over dirt or just plain compacted dirt. Very smooth. I walked and ran the trail, but I could see it being fairly easy for a bike, especially a mountain bike. The uphills are not steep at all. The trail is closed from sundown to sunrise, and I absolutely would not attempt this trail during the summer months. The temperature can be incredibly hot, and if you're not used to hours of physical labor in 115F heat, you could put yourself in a lot of danger. I have been living in Vegas for almost two decades, working outside for six of those years, and I still think it would be risky for me. But in the fall, winter and spring? Great day hike. I highly recommend it. 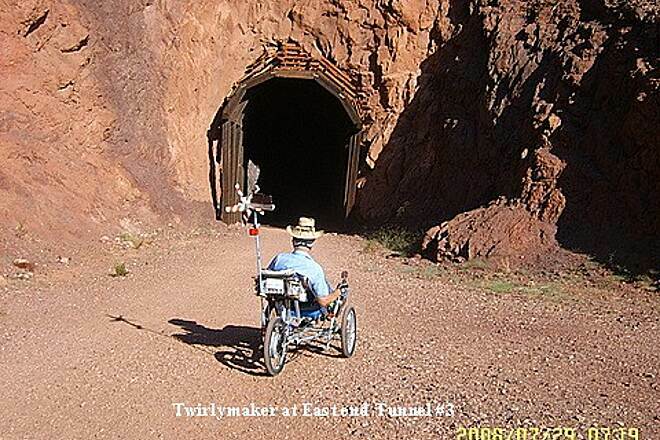 Great for bikers and hikers of all ages. There are two restrooms and two water stations on the way to the Hoover Dam. Very picturesque and manageable hills at the end of the last tunnel. Like any railroad bed very little noticeable grade, sometimes not sure if going uphill or down. The surface is more gravel than dirt but ok for biking, mostly compacted with some undulation in the surface. After the last tunnel much of the railroad grade is gone and more elevation change is encountered. No bikes are allowed once you get close to the Hoover Dam visitor center, a bike rack is provided to hitch your bike to. Near that end, it looks like they are working at adding a display of some of the components of the power production process. There are some nice signs and fenced in area but the components haven’t been placed yet. Be aware of the warning signs that it is NOT recommended to be on the trail during the months of May to September – HEAT KILLS! Thankful there is a fair amount of shade along some sections of the trail, especially this time of year and the afternoon sun is lower. 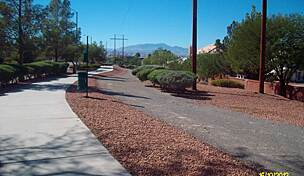 The trail head is also access to the River Mountains trail. 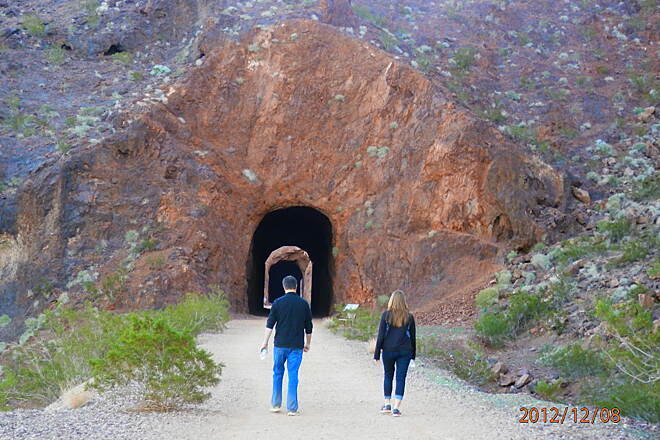 If interested in railroad history or building of Hoover Dam this is a recommended trail. There are number of interpretative signs along the way. 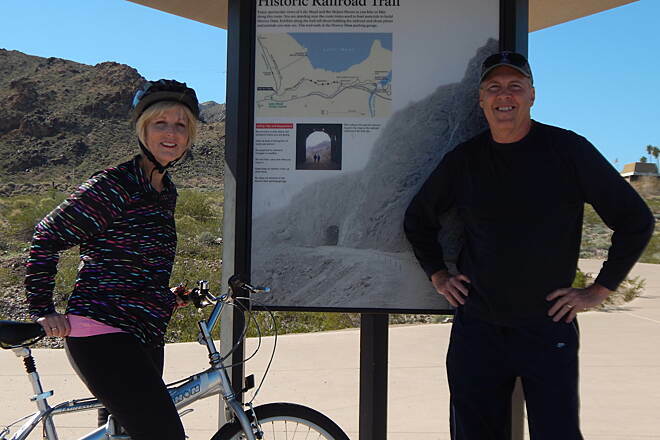 We enjoyed the Historic Railroad Trail on a cool, February weekday and had a blast! 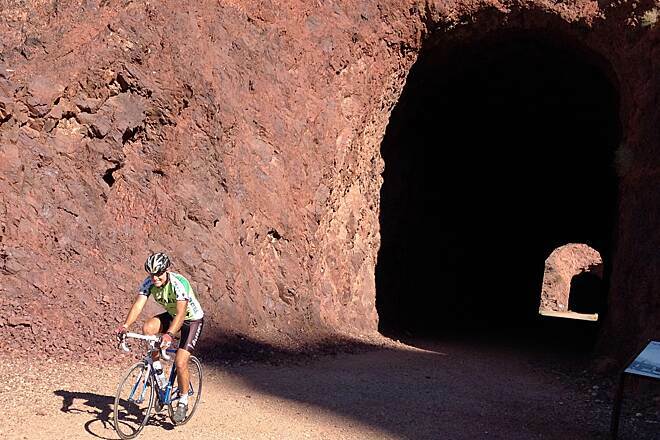 The trail is exceptionally picturesque with amazing views of Lake Mead, and the tunnels are an additional fun element. The history of the trail is shared with informative displays, and there are benches and a couple of picnic areas as well. 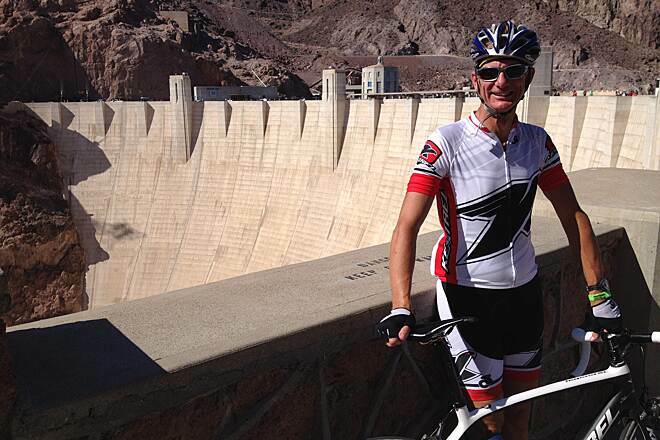 We rode our bikes all the way to the Hoover Dam parking area for photos before heading back. The trail is, for the most part, an easy, level 3.7 miles one way, but it feels longer since we traveled slowly to enjoy the views and frequently stopped to take in the sights. The trail surface of dirt/gravel is another factor that prohibits speeding. There are a couple of short, simple inclines coming back from the dam, but they're easy. This trail is popular with bicyclists, but there were just as many, if not more, pedestrians jogging and hiking as well. Inspired by the Winter 2010 Rails to Trails magazine cover story, we traveled from southern California to ride this trail. I most certainly give it 5 stars, but the wife only gives it 4 due to the lack of a smooth riding surface. 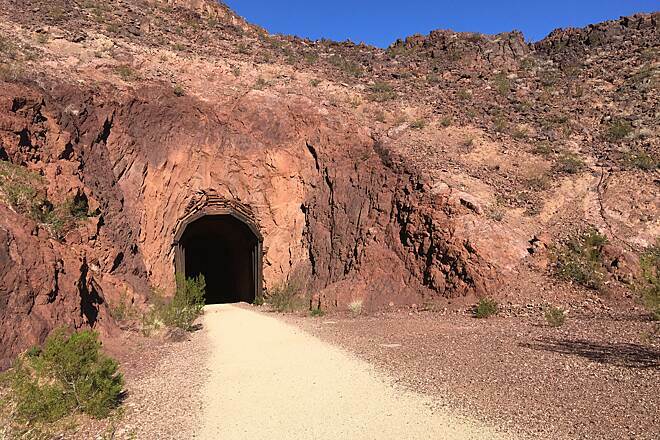 We walked yesterday on the historic train trail to Hoover Dam, it included 5 train tunnels, lovely walk above over 1500 - 2000 feet above Lake Mead, took us about 8 hours to walk the trail and back including lunch at the Dam. 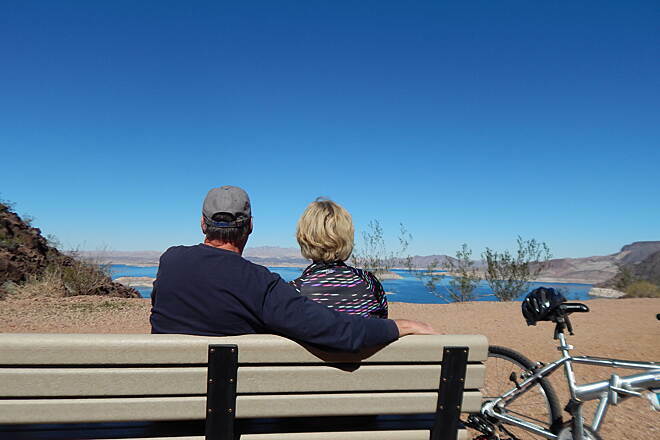 We took a leisurely walk resting on the benches every once in awhile enjoying the view of Lake mead below us, the breeze was lovely as it is November, light long sleeve t shirts was all we needed. We parked at Alan Bible Visitor Center a safe place with bathrooms and water. We had a beautiful day! We parked and started at the trailhead by the Alan Bible Visitor Center and rode to the dam and back. This trail is actually about 3.5 miles (Trailink lists it as 7) and is loose gravel but easy to ride. 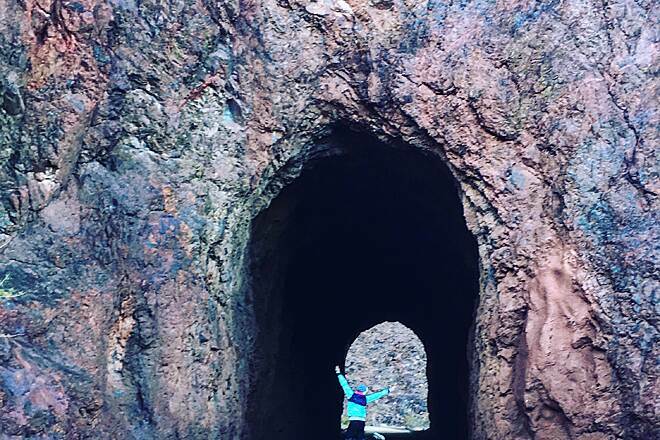 Beautiful views of the lake, visiting the dam and all the tunnels make for a great trail. Our only complaint is that it's such a short trail. You can combine it with the paved River Mountains Loop Trail (which it connects to at the trailhead) for a longer ride which we did ride a little of. 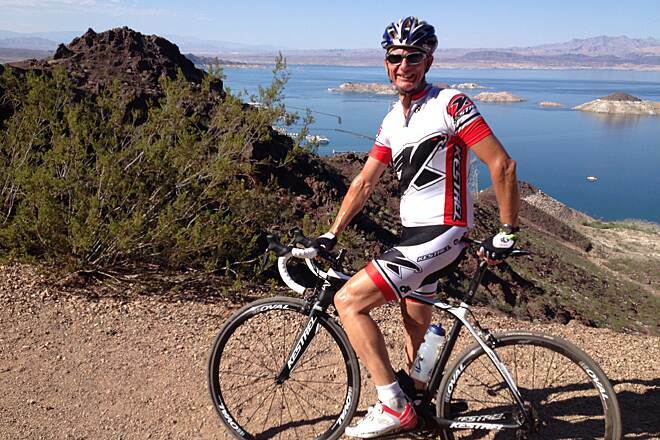 Had a nice ride today from Lake Mead to dam and back.Nice path but gravel was loose. 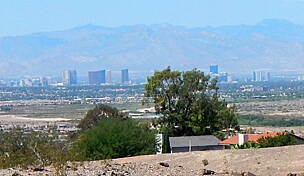 The trial from the bootleg canyon area is one big hill. Once you get to the visitors center the trail is gravel but the grade is typical rail trail. Overall I think this is a great ride beautiful views and well worth the trip. March 16, 2012. 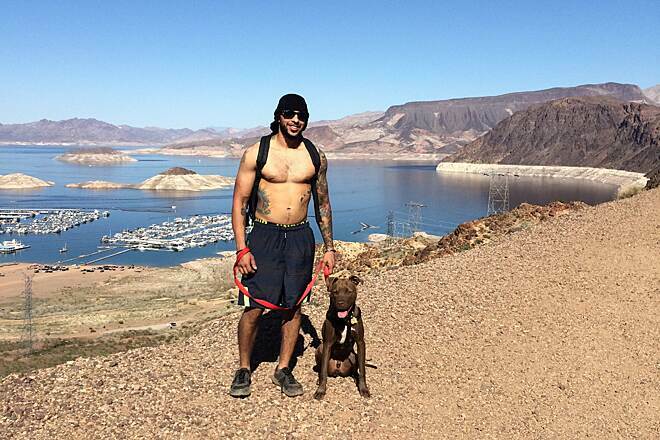 We were looking for a good hike after touring Hoover dam. We were headed to the Alan Bible Visitor Center but it is closed for renovations. So at the parking lot were kiosks with info about the 3.5 mile Rail-trail which has 5 TUNNELS! 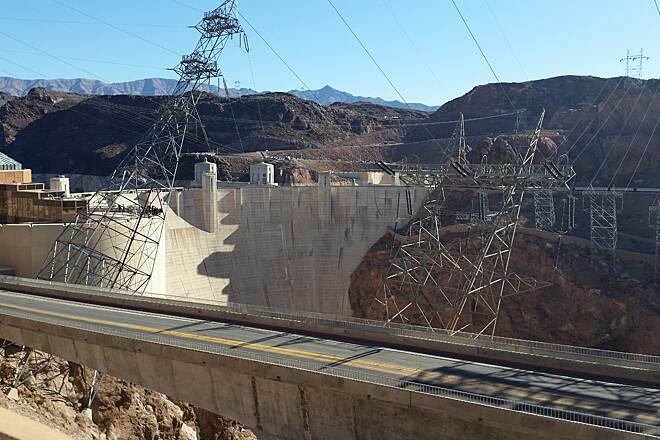 and how it supported the construction of Hoover Dam. 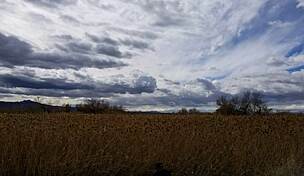 The weather was overcast and breezy, about 60 degrees. We hiked the 3.5 miles to the dam parking lot and back. The hike was great and the history fascinating. This could be a hot hike if taken when temps are over 80 and more water would be required. There is a toilet in the middle of the hike as well as at the beginning and end. 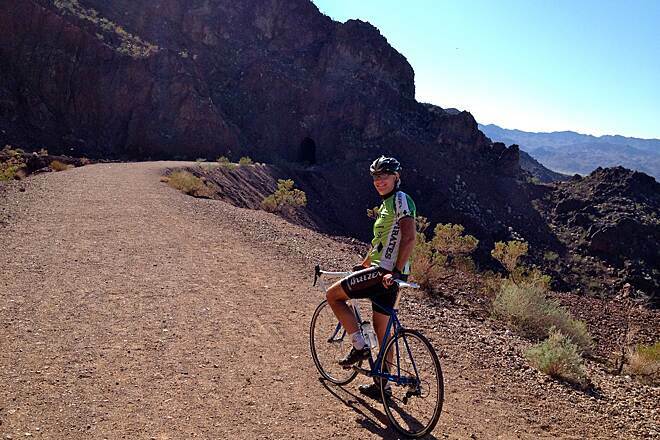 I was able to meet some relatives in Las Vegas this summer and decided I wanted to ride this trail. I started from the River Mountains Loop Trail parking lot, which is on the road to the dam. Fortunately I downloaded the GPS data for this trail first, or I would have missed the start of the trail. It is a really awesome trail with an incredible view of the lake all the way. The loop trail meets the old rail trail near the road below the Alan Bible Center, which then turns to gravel. 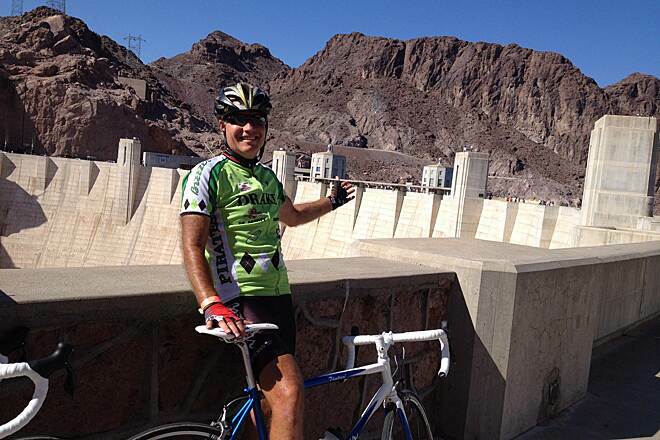 The gravel trail is no problem and I had a great 14 mile ride to the dam and back. I would recommend riding the trail as early as possible, as it got hot fast. Needed to get away from the New Hampshire winters so I saw this trail and had to walk it. 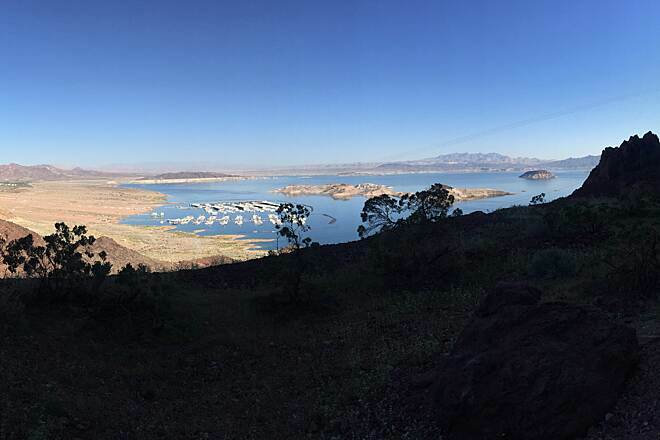 I started in Boulder city and walked to the dam. About half is paved in the begining and the rest is gravel. On my way back I saw some longhorn sheep. Would not want to do this in the summer as there isn't much cover over head except for the tunnels. Took me 8 hours. I clocked 16miles round trip with my GPS. Trailbed from lower trailhead to dam = 3*, somewhat loose gravel over hardpack with annoying little ridges every 4-12’ that have you bobbing. Cleaner inside the Bureau of Reclamation property. From lower trailhead to upper trailhead = 5*, fresh blacktop. Scenery = 5*. Lake views, vistas, mountains, five tunnels, dam stuff, including the switching yard at trail’s end. There you navigate the five story parking garage and go on foot to Hoover Dam. No bikes. Bring a lock. Might want to bring a pack instead of saddle bags so no gear is left on the bike. Facilities = 4* Vault toilet at lower trailhead. Look for water and restrooms down at the dam. Benches on assorted view points. Upper trailhead offers parking and an info kiosk. 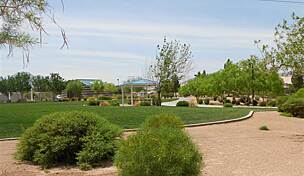 You can find water and restrooms at the Nevada Welcome Center up Rt 93 and across the road at Nevada Highway. TrailLink calls this trail the Historic Railroad Hiking Trail. 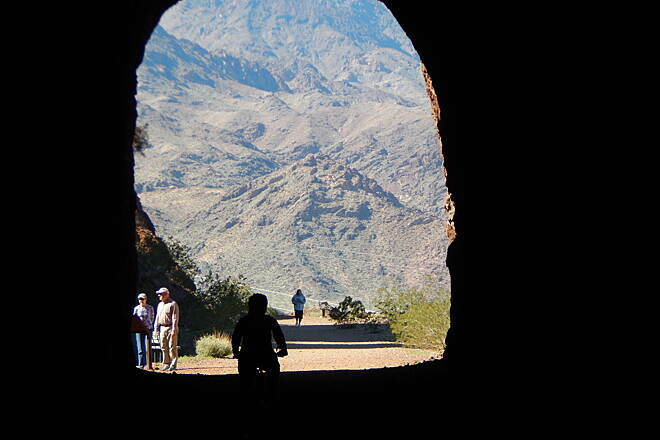 The Park Service, which administers the trail, calls it the Railroad Tunnel Trail. Probably the better name as the big draw going in are five RR tunnels, one right after the other. Then you are on Bureau of Reclamation land and wander around the warehouses and shops and hardstands down to the switching yard, where the trail ends. Park your bike in the rack and lock it. Take the sidewalk down to the five story parking garage and find your way out to the dam. While there, take a close look at the dedication plaza with the winged figures. Check the terrazzo plaza. The builders have aligned their project with the cosmos. One thinks of the priest-kings of a hydraulic culture. Lacking are the nilometers to predict the inundation. We have stream gauges instead. The Park Service brochure tells us that “the Hoover Dam construction railroad system had three segments.” Union Pacific from Las Vegas to Boulder City. Government RR from Boulder City to the concrete mixing plant overlooking the dam. That is what you will take. The third segment went off to the gravel beds. There are two trailheads on this project. Decision time. How much trail do you want to do? 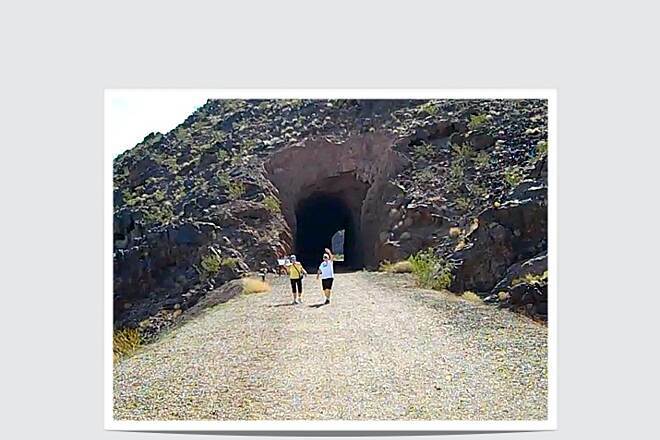 If you have kids, or sore feet or a hot, hot, hot day, then cut to the chase and go for the tunnels and dam. Park at the trailhead below the Senator Alan Bible Visitor Center. Even better, park at the visitor center. They have water and amenities. Take the walk down to the trailhead below. 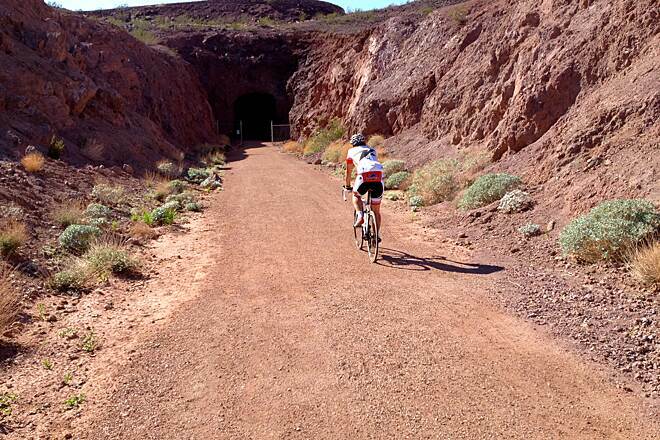 Then get on the gravel trail and head for Hoover Dam. The Park Service shows this as 2.6 miles . I am not so sure about that. My GPS shows 4.54 one way miles, a max speed of 20.2 (down some switchbacks in the Bureau Rec lands) and a moving time of 45 minutes, 247’ of elevation change. I suggest you plan on 5 miles one way, 10 miles roundtrip from lower trail head to parking garage at dam and back. 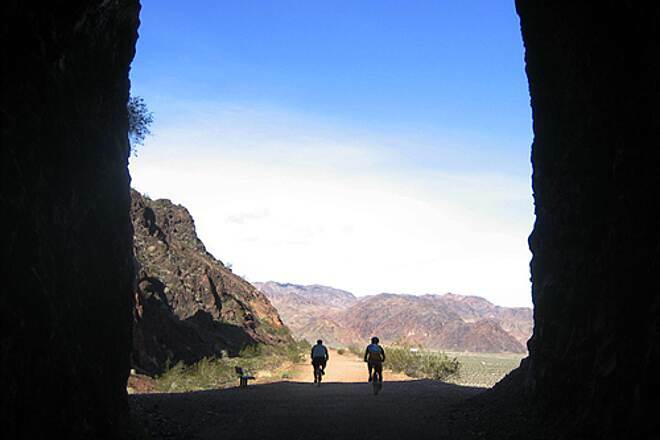 If you are a hardbody and want do to a bit more, you can start up at the edge of Boulder City at the River Mountains Loop Trail facility on Pacifica Way and head down hill. This is 3.6 miles (NPS figures) of downhill travel on a fine blacktop trail to the lower trailhead. Of course, it is also 3.6 miles of uphill travel at the end. I like to do my uphill early in the shade and downhill late. If someone would shuttle me uphill (dream on), I would eschew the Pacifica Trailhead and head up Rt 93 to the River Mountain Trail (RMT) trailhead. Look for brown highway signs at a bend in the road. Note – there are two River Mountain trails. Confusion. 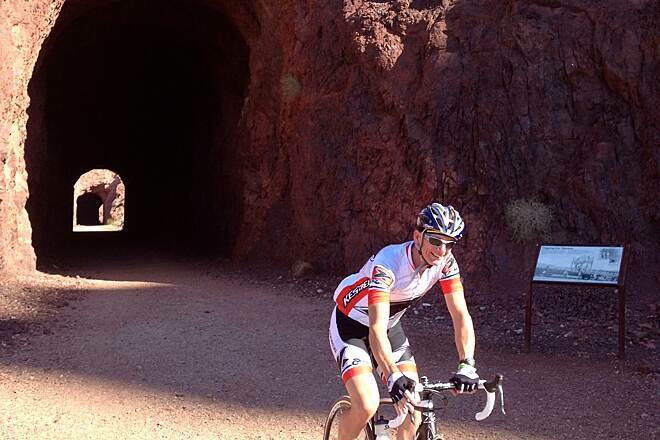 The RMT is a death march from the RMT trailhead in Boulder City to the top of Red Mountain. About 6 miles round trip at 1185 elevation gain. The 34 mile River Mountains LOOP Trail is a project some 15 years in the making, which is being dedicated this month. All purpose-built trail. Very nice. It passes through the RMT parking lot. Blacktop enters from uphill. Downhill is the “street luge” section. They have multi-used the trail into a concrete lined and landscaped drainage channel which will dump you out at Pacifica Trailhead. You can walk it or ride it unless there is a flood or storm in progress. Duh! Hop on it, go screaming downhill, make a hard left at Pacifica (or else), sweep around the parking lot, out into the desert and down to the lower trailhead. (Take a taxi back.) Now you are down at the lower trailhead and we can begin the tour. Vistas, have we got vistas! And handy benches to sit and grok the view. Including the bathtub rings. 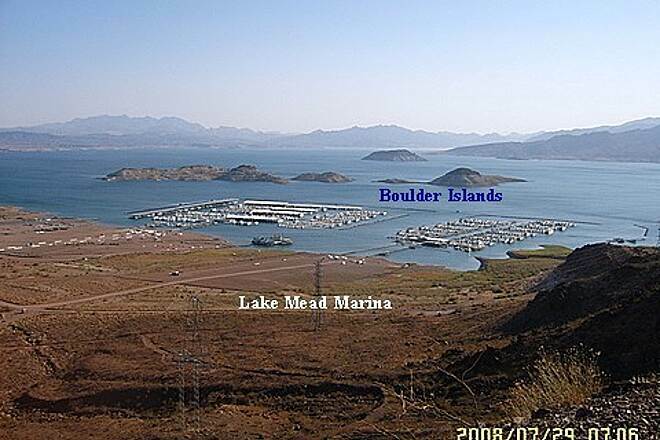 There should be 185’ more water in Lake Mead. The Boulder Beach campground used to be at water’s edge. You can see it all from the trail. I was on the trail at 0743, with the sun just clearing the mountains, which provided a lot of shade and shadow. It’s about 1.3 miles to the first tunnel. After that they just keep on popping up. Five in rapid succession. No lights needed. They built them oversized to accommodate the penstocks and heavy equipment. Check out the pix. Tunnel 5 leads to the Bureau Rec gate – locked at night. 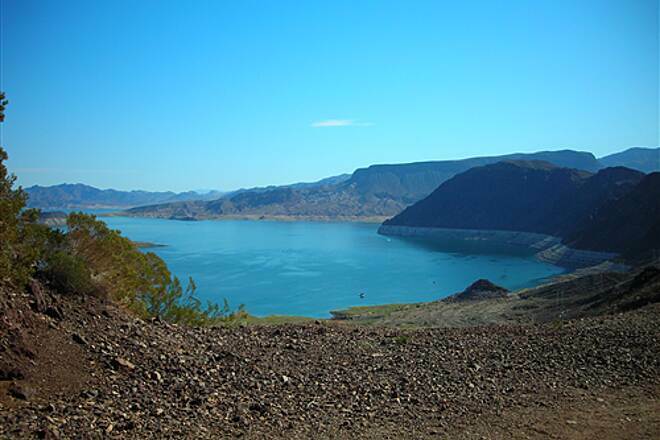 Once through, look back and there is the Lake Mead Overlook sitting atop the ridge. Now the trail winds among the hardstands, warehouses and other dam facilities. There is something tucked in every ravine. You descend switchbacks to the electrical switching yard. Keep the speed under control. Loose gravel on the hairpin turns makes for interesting riding. (Don’t even ask.) One hairpin has a chain link fence – to keep you from shooting out into the ravine (big rocks) when you overshoot the turn. See the fence, start braking. Bet someone BTDT. When you pass through the switching yard, your ride is over. There is a fence and gate ahead in a defile. No bikes! 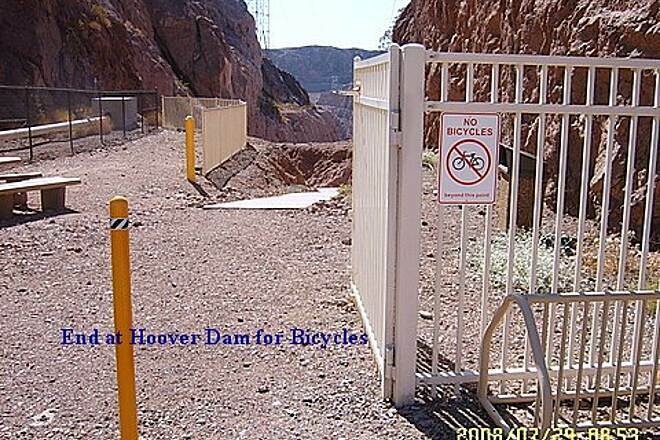 Use the bike rack, enjoy the picnic table, and hoof it down the sidewalk to navigate the parking structure on your way to being a tourist at Hoover Dam. It’s a remarkable project, some 78 years and counting. Started 0705 at about 84 degrees from Historical Railroad Trail Head below Alan Bible Visitor Center. N36.01190 W114.79365 Elev 1562’ . The first trail sign will lead to the Rail Grade, but if you continue along the concrete path you will come to the real RR grade. Trail has loose gravel but is passable with my Tri-Cruiser. 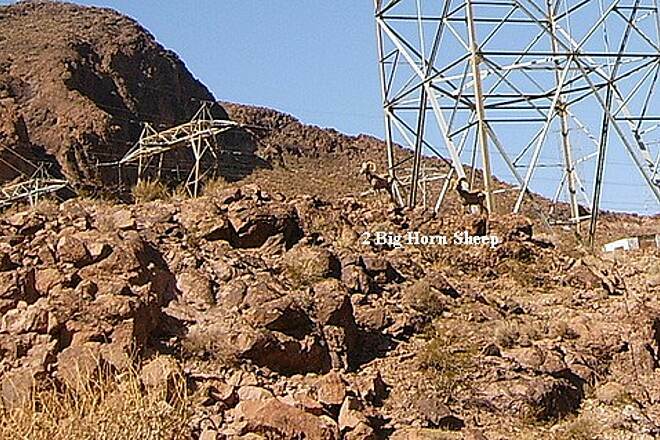 Great views of the Canyons & Lake Mead, and two Big Horn Sheep. 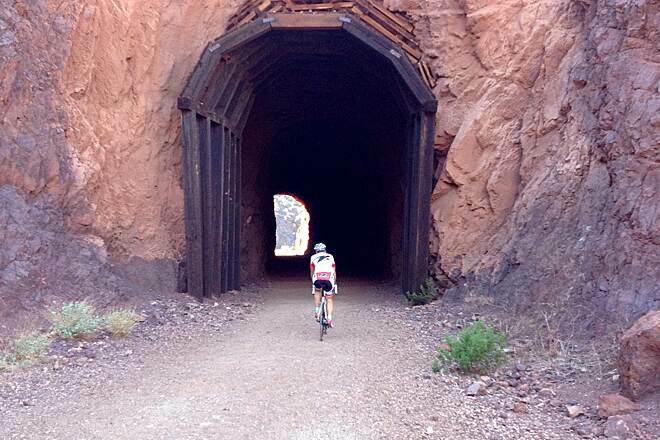 Five Tunnels and then several short steep grades to the end of the trail for cyclist. 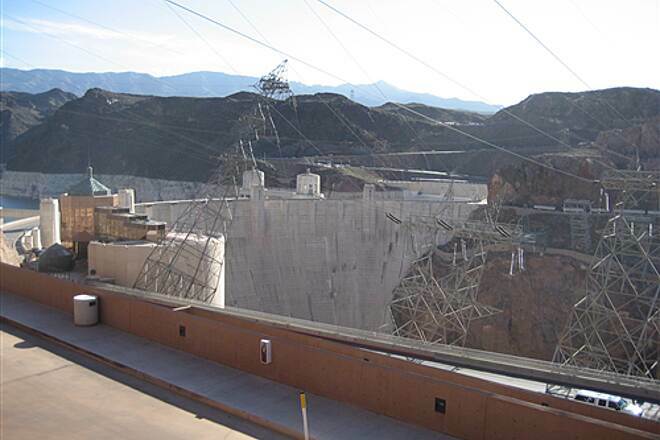 A slopping concrete walkway leads down to Hoover Dam. Return was difficult, 35% plus grades for 844’ & 581’, ratchet pedaling 6 to 8 inches each half turn. Completed round trip 1150 hours and 104 degrees. 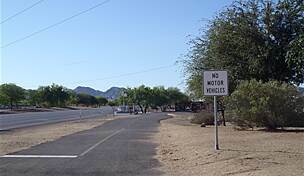 The last 3 miles have been completed in the Lake Mead National Recreation Area: now there are 17 miles one way (Pacifica to the toll booth by Alan Bible Visitors' Center all the way to a toll booth on Lake Mead Parkway). **Your above statement says reviews will be approved by RTC staff. I take that to also mean reviews will be intregrated into old ones: updated and improved. Last time you just printed by questions and ignored some of my suggestions. Jim D's 2003 review is rather outdated, e,g, one can go to the dam now. 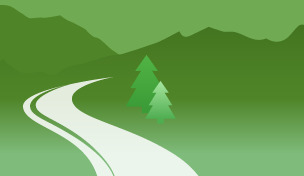 This is NOT jsut a hiking trail - it's misleading. 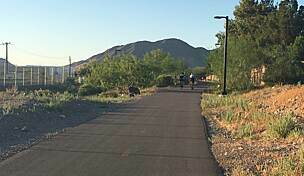 It's a multiuse, non-motorized trail. Why don't I get in withuser name "Tony Taylor"? Does it have to be lower case? Let's make this easy for non-tech guys like me ... I almost gave up. !! This is a fantastic trail and getting better all the time. Do you want me to continue updating this? If yes, please fix the entries so readers get an accurate overview and can make informed decisions. Above, but add "Boulder"/ to Hoover Dam. Please edit my 30 Oct 2007 review (update it). You list the trail as 6 miles. Is this one-way or round trip? Please state such on your site. Is a phone # and web site listed? If not, please list for potential users. You may want to list this trail twice for "search" purposes. List it under River Mountains Loop Trail too - that's where I look for it. I used the Alan Bible Visitors' Center as a landmark for the trail head/parking lot, but it is really a parking lot BELOW Alan Bible (towards the lake). This is an out and back spur to the River MountainS Loop Trail, that when completed will be 34 miles (paragraph 2)! The one-way distance from the trail head/parking lot is about 4 miles (paragraph 1). As of now there are 2 bike shops in Boulder City (1 closed up): All Mountain Cyclery and B.C. Adventure Bikes. 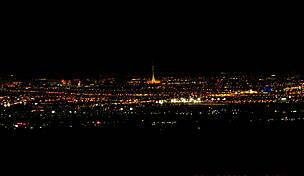 All Mt. rents bikes and conducts tours. My old last paragraph mentions 13.4 miles of the RMLT. 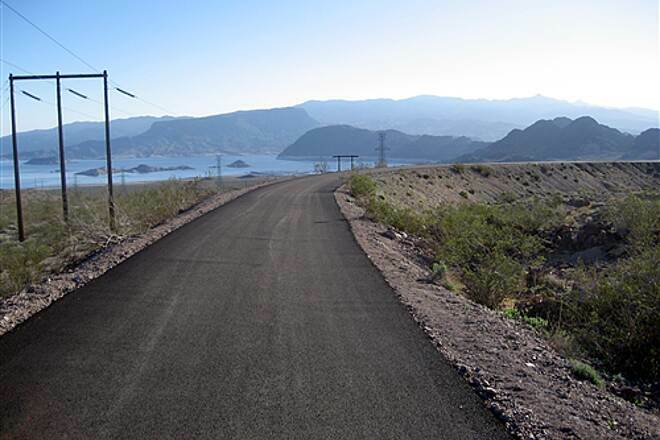 10 miles are now paved (from the trailhead it goes to Las Vegas Bay). The last miles may be done this March. 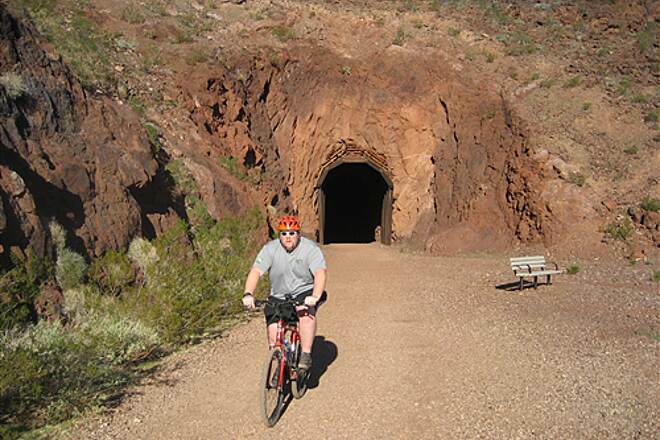 "On 19 Oct 2007 the Boulder Dam historic 5-tunnel railroad track, which is now a multiuse trail(no motorized vehicles), will be extended to the upper level of the Boulder Dam parking structure! The trail is packed dirt from the Alan Bible Visitors' Center to the dam. The total one-way distance is about 5 miles. If you look hard you may see a mine shaft and concrete plugs dating back to when a new generator was added to the dam (on the right going towards the dam - in a gully/drop off). This trail can be used by itself or as an out-and-back connector to the River Mountain Loop Trail (RMLT), which, when finished, will total about 35 miles of multiuse (non-motorized) 12-foot wide blacktop. Parts of the RMLT will have a parallel dirt trail for horses. Also on 19 Oct 2007, 3.6 miles of the RMLT from Pacifica St to Alan Bible Visitors' Center will be complete with blacktop. You can add a mile more to this if you start at the Nevada Welcome Center on Hwy 93 and head toward the dam. 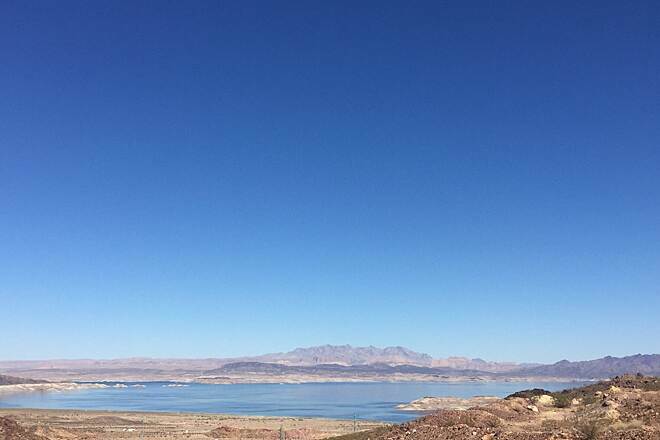 The RMLT has a completed section of about 10 miles between the Lake Las Vegas area on Lake Mead Parkway in Henderson to Rail Road Pass Casino (Highways 93-95). You may want to check out the RMLT web site at rivermountainstrail.org. 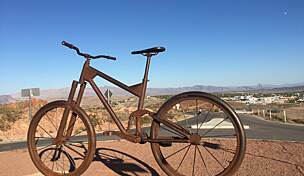 As of September 2007 there are 3 bike shops in Boulder City, the closest town to the trails mentioned here. For info get a B.C. phone book or contact the Chamber of Commerce. Extra info. : RMLT construction is taking place right now from Alan Bible, paralleling South Lakeshore Drive towards the toll booth and beyond for 13.4 miles. Construction on the RMLT from Rail Road Pass Casino towards Boulder City (5 miles) will probably start in Oct 2007 and can take 240 days to complete. The final 0.8 miles towards B.C. will probably be completed in 2008. 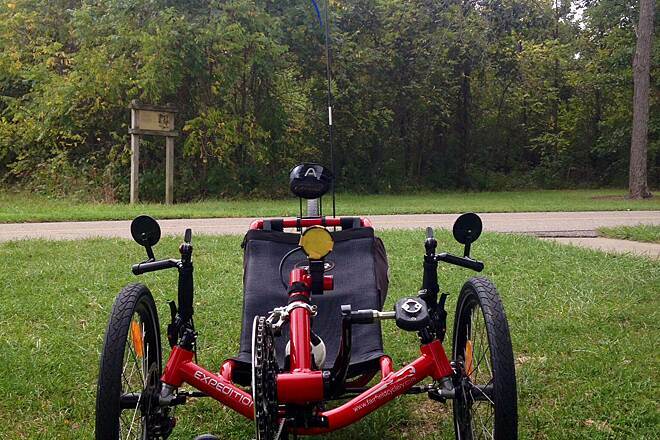 "This is a great scenic trail! It's a little short for biking being only two or three miles long, but it's great for jogging or walking. If biking is your thing, the trail is pretty smoothly surfaced with crushed rock, but I would only use a mountain bike. 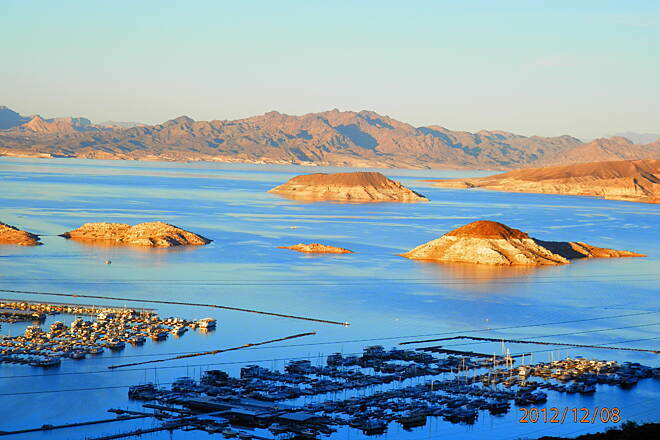 The views of Lake Mead are awesome and the five tunnels are a cool feature! I hope they extend it to the Dam." 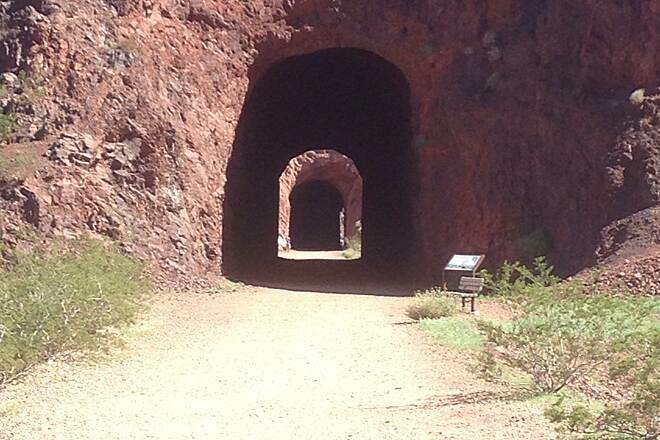 This trail follows the old railway that was used to transport all of the materials used to construct Hoover Dam. 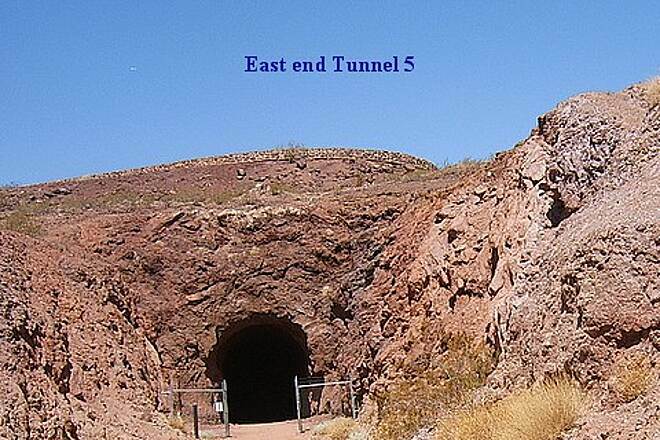 It is a very easy trail and includes five tunnels. 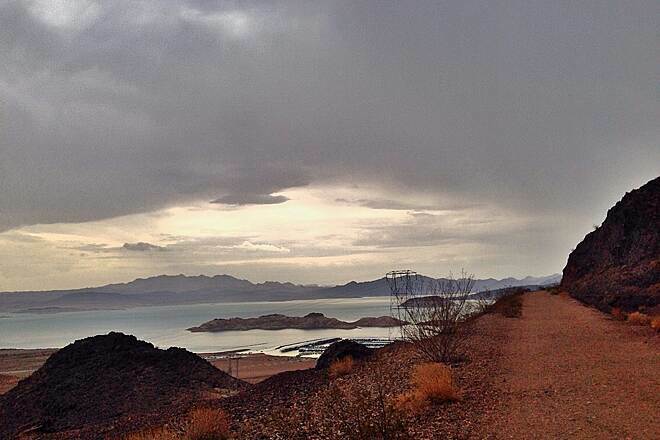 Most of the trail provides beautiful views as it overlooks Lake Mead.